WHEN the promise of waves beckon, 27-year-old Aaron Pitcher wakes early, has breakfast, checks the weather radar and surf report before heading for the beach. The budding surfer is a National Disability Insurance Scheme (NDIS) participant. 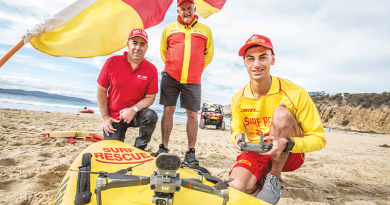 He shares his beach visits to Clifton Beach with Anglicare Tasmania support worker Shane Rayner, who has life-saving experience and a 40-year passion for surfing. “When the summer hits, the water is warm, but I have a wetsuit for when it’s cold,” Mr Pitcher said. “I just make sure we don’t go out too deep – Clifton Beach is patrolled and we swim between the flags,” he said. “I always check out the surf before we go. “If it’s too big or there’s a rip we’ll give it a miss or go somewhere else like Seven Mile Beach where the waves are generally small. As they surf the waves, the pair enjoy Tasmania’s coastal scenery. 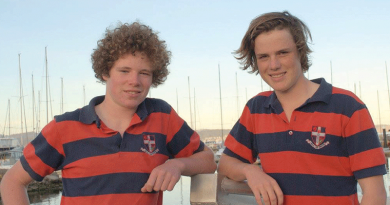 “We are a good team and surfing is a really great outlet for Aaron,” Mr Rayner said. Surfing is only one of the activities Aaron regularly chooses to take part in. He is also a keen soccer player, basketballer and a skilled member of the Special Olympics bowling team. 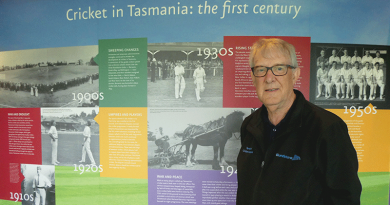 “Last year, we went to Melbourne and next year we are going over to Western Australia to bowl,” Mr Pitcher said. For Mr Pitcher, who shares his Rosetta home with flat-mates, sport is a big part of his life. With this in mind, Anglicare – a not-for-profit support provider for Tasmanians over 30 years of age – made sure to pair Mr Pitcher with a support worker he could relate too. Anglicare’s large team across Tasmania has the skills to provide quality support to NDIS participants. Anglicare’s team also has the skills and experience to provide professional support for NDIS participants seeking to manage mental health challenges. 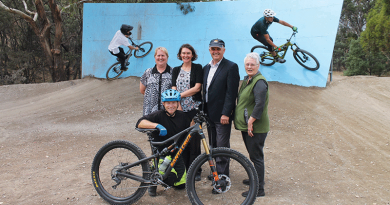 It also offers a range of shared and supported living options statewide and can work with NDIS participants to facilitate design of accommodation to suit participants’ needs and budget. For more information about the NDIS and support that Anglicare can provide, phone 1800 243 232. 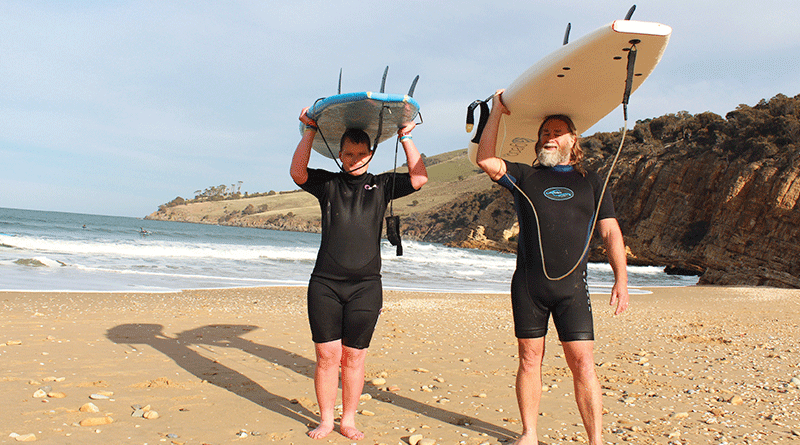 Caption: Budding surfer Aaron Pritcher with Anglicare Tasmania support worker Shane Rayner.